Instead of tripping over boxes of gardening supplies that border the large canoe between the two vehicles in your garage, it’s time for a new strategy. As winter approaches, you begin to notice all the things you used to actively use in the summer that now rest patiently as they await warm weather. Don’t let them take up valuable space. Check out these 4 things you didn’t think to put into storage over winter. Are you really going to break out your jean shorts in the dead of winter? You’d be surprised how much extra closet space you’ll have when your tanks and sun dresses are resting in storage and patiently awaiting their next summer debut. Besides, you’ll thank yourself as you open containers of clothing you haven’t seen in months and feel as if you’re on a mini shopping spree. Before you pack it up, think strategy. Make sure all your clothing is clean and free of any damage and decide whether or not you’ll fold it or hang it — some pieces may be better suited one way or the other. If you’re feeling ambitious, get rid of anything you haven’t worn all season or anything that has little use sitting in your closet. These questions might help you with the decision making process. You might be limited to outdoor physical activity during winter months, but even if you won’t use your baseball bat or tennis racket, it’s time to break out the snowshoes and sleds. When your garage becomes the dumping location for your rollerblades, bikes and golf clubs, it’s easy to feel cramped in your own home. Instead of letting everything pile up, trade your water skis for snow skis and put what you don’t need in a storage unit. Instead of taking up space with your canoe or kayak, put it into storage so you’ll have more room, or a space for the kids to play as the snow is falling. Just because you store your ornaments and holiday wall hangings doesn’t mean your summer décor can’t be stored, too. When you need to make room for holiday decorations, pack summer items in their place and put them away until you’re ready to embrace a new vibe. Be sure to organize as you’re packing so you’re not spending hours searching when it comes time to decorate again. If you’re not using it and won’t be for a few months, save yourself precious space by putting the item into storage. Like clothing, now’s a good time to purge any items you have no use for. This is your chance to get rid of that ugly frame you’ve been holding on to for decades. Small engine vehicles arguably take up the most space in storage. 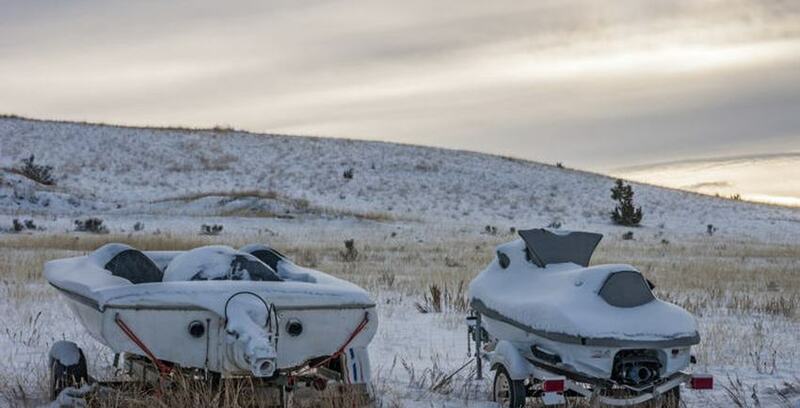 Though you can stare at the motorcycle or jet ski parked in your garage or yard, hoping for another warm, summer day, it’s just going to make the winter last longer. By putting those larger items into storage, you’ll have room for your snowmobile and other vehicles that have more use in the winter months. Your lawnmower isn’t going to see much usage in the winter, either. As you’re storing each item, go through a winterization checklist to ensure everything will be working again properly come spring or summer. If you’re concerned about the plummeting temperature, be sure your method of storage is climate controlled. Storage Direct offers a variety of storage locations, and our experts will be happy to answer your self-storage questions. Contact us today and we’ll help you pack up your belongings for winter to make more space for what’s important when brisk weather comes.